Price Chopper Starting Sunday: $0.49 Each For Krave Cereal & Kashi Cereal! Starting Sunday we will see these two great in ad coupons in the Price Chopper ad! You may want to print the coupons below now in case they are NLA by Sunday. 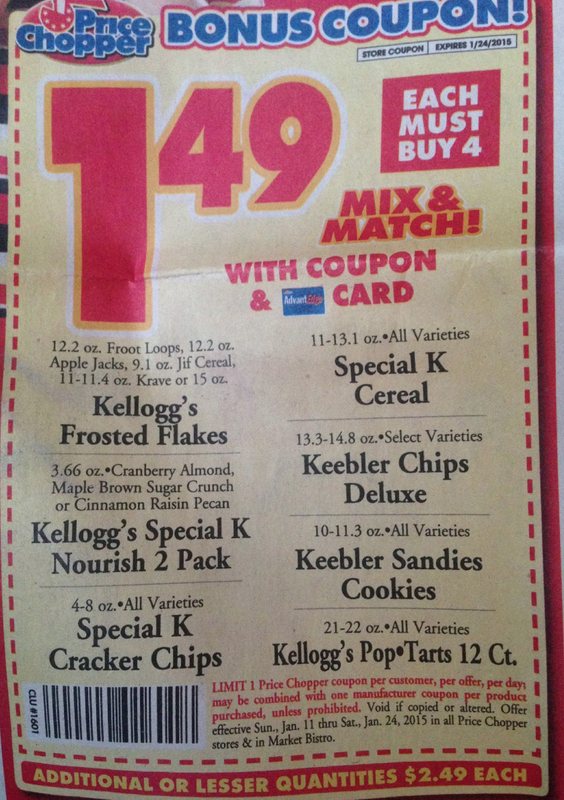 If you do Kellogg's rewards there are $1/1 Kellogg's Pop Tarts and $1/1 Kellogg's Cereal Coupons avavilbe = $0.49 each! The print limit on each has gone from 2 to 1.